We've seen the Digg Effect crash unprepared websites and bring tens of thousands of visitors to an article in a matter of hours. Those Digg users don't rush out to buy games after reading articles on the gaming front page. In fact, video games featured on Digg actually drop in price 2.2% on average in the seven days after the article becomes popular! For the analysis we used all the "list type" articles that became popular on digg.com between August 10th, 2008 and September 10th, 2008. Articles like "31 Best DS Games", "10 Games That Need Mega Man 9 Treatment", and "Top 5 Overlooked Prequels". A total of seven articles and 94 games. The prices are the average resale price seven days before and seven days after the article became popular. 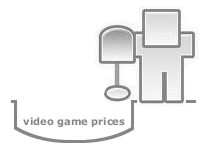 All video game prices come from VGPC.com and are based upon resale prices for games on ebay, amazon, and half.com. What would cause this price decline when games are featured in Digg articles? The best reason I can think for the price decline - More Digg users sell the games featured in the articles than buy them because of the article. Whatever causes the price decline, the Digg Video Game Effect is much different than the usual Digg Effect. ***The "average video game" price of $13.93 is based upon a weighted average so the weights in the sample match the weights in the average. This was done because the sample had mostly Wii, DS, and NES games and no 360, PS3, PSP, Genesis, etc games. Wii games make up 35% of the sample size so Wii games are weighted at 35% for the average. PS2 is 2% of the sample and 2% of the average. 360 games make up 0% of the sample and are not part of the overall average. I don't agree with your conclusion. While the average videogame didn't decrease in value, the average videogame isn't a Wii or DS game. These games are newer, and therefore more likely to decline in price, before reaching a stable, lower price. Only 16/30 (53%) of non Wii/DS were losers, as opposed to 40/63 (63%) of Wii/DS titles losing value. I'm far too lazy to do a significance test, but with such a small sample size I would be inclined to say the results are bias, considering the loss of value in the sample would be largely due to multicolinearity between the value of games in this sample and value of newer videogames. Quemadura - great comment. I can definitely understand your disagreement based upon what you think the data represents. I should clarify. The $13.93 "average video game price" is weighted so it takes into account the number of games in the sample for each system. Wii games make up 35% of this average price because they make 35% of the sample. And PS2 games are weighted at 2%. No 360, PS3, PSP, Genesis, etc games are included in the overall average because they are not part of the sample. I'll post some of this info at the end of the article for clarification. Interesting but you only take account of actual diggers. The digg effect has a sort of shockwave effect - initially getting the attention of diggers, but then spreading quickly as its blogged and discussed - and soon it spreads to media press (online newspapers, blogs, etc), then to conventional press (print media, television news, magazines) and then to regular people who pick up information through the internet and through these other mediums like tv news. So sudden attention on a game would invariably give the game more attention through advertising and making people aware of it for whatever reason. I think you negate the effect that it may have on the individuals I'd consider 3rd party diggers - as in they don't use Digg, and they didn't get their news from a Digg user who's blogged or written about it, but instead get it from the after-effect of digg users who have blogged or written about it - perhaps consuming local newspapers that may report on the digg story. These users are regular consumers and more likely influenced by such things. Of course this is just a wild theory, no facts to prove it either way. I think you are correct that the front page Digg articles don't just bring traffic from digg.com. They also bring lots of traffic from other sites after the fact. But from my experience (2 popular digg articles) almost all of those other links come within the first 1-2 days. So allowing 7 days for the prices to change should cover the vast majority of the traffic spike from all sources. Honestly that statistic doesn't mean anything. The mean percent change in that sample is only -0.32%, and the standard deviation is 9.20 so even the -2.2% number you have isn't significant. I have no idea if their audience is comparable to popular Digg articles, but since the site is more game specific I guess viewers are more likely to be interested in gaming. Also, I believe the price-rise effect would be only observed on "forgotten" games. Everybody knows about Final Fantasy III and wants to have it, so the price must be pretty stable. Have you ever done an analysis of the price of a classic game when a new version is released on another console? An interesting case would be Chrono Trigger (SNES and PS versions) with the DS rerelease. Your analysis is flawed. I'm a stats major and I ran a simple hypothesis test using the data you provided. For a 2 paired samples, the t-test was inconclusive and thus you cannot say for sure that the price increased. Just taking the average percent change is not a good way to predict future price changes. I should clarify. Hypothesis tests take into account sample sizes, deviations, and variances. Brian - Thank you for your analysis. If you want to email me your data I would love to look at it and even post it on the blog as an update. My contact information is at the top of the page under "contact us". Why No Price Drop For Xbox 360 Resale Prices?